MANILA (19 Nov 2017) – The Philippine Football Federation (PFF) have issued licenses for the eight participating clubs in the Philippines Football League (PFL) ahead of the 2018 season in accordance with the PFF Club Licensing Regulations. All eight clubs were invited to apply for the PFF license which grants admission to play in the PFF Club competition 2018 season and AFC Cup competition 2018 season; and AFC License which grants admission to play in the AFC Champions League 2018 season. All eight clubs submitted their application and were granted license to participate in the upcoming Philippines Football League season 2018 by the PFF First Instance Body (FIB). The FIB is an independent decision making body that grants license. 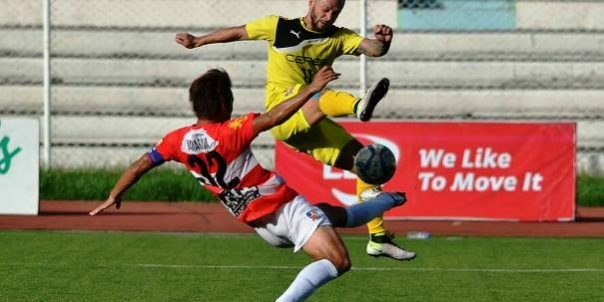 The top four teams currently in the League standing, namely: Ceres Negros FC, Global Cebu FC, Kaya FC Makati, and FC Meralco Manila were also granted the AFC License. The four remaining clubs: Davao Aguilas FC, Ilocos United FC, JPV Marikina FC, and Stallion Laguna FC only applied for the PFF license, which also has provisions for participation in the AFC Cup. Clubs will be nominated for the AFC club competitions 2018 season based on criteria set by the AFC and PFF, which includes, inter alia, sporting merit and number of slots allocated. This was the first time that the PFL clubs used the AFC Club Licensing System (AFC CLAS). The Club Licensing Managers from the respective clubs attended seminars conducted by the Asian Football Confederation (AFC) and the PFF last July, and with FIFA, underlining the importance of club licensing, last August. Philippines Football League Chief Executive Officer Lazarus Jansen Xavier congratulated the eight PFL clubs that were granted the license. “All eight clubs had worked very hard to ensure compliance and meet the Club Licensing criteria which includes: sporting; infrastructure; personnel and administrative; legal and financial criteria. The Club Licensing system is a tool to professionalize Club football and serves to benefit all football stakeholders,” he said.